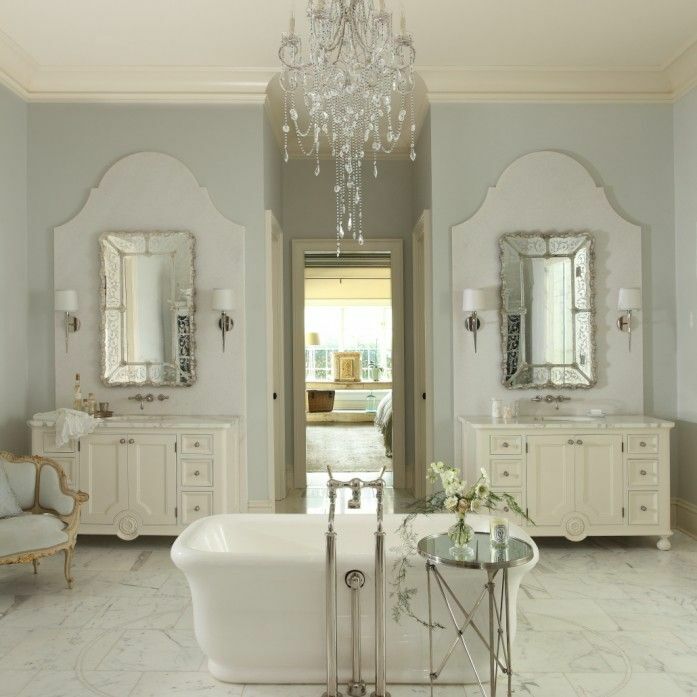 Our master bathroom hasn’t even started , and I am already buying accessories for it! 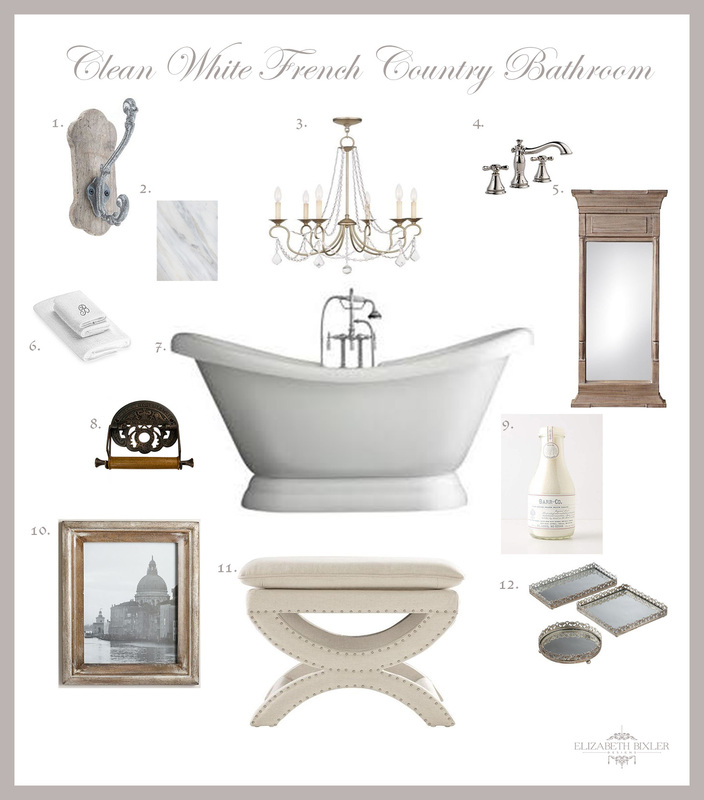 If you did not know by now, I am INLOVE with french country design so what would our white bathroom be without it?! There are so many awesome places to find reasonably priced decor. Signature Hardware is definitely my favorite one so far! My friend also told me about Vintage Tub for faucets and accessories. I also love antique stores-not the smell as much as the vintage finds- for a bargain. 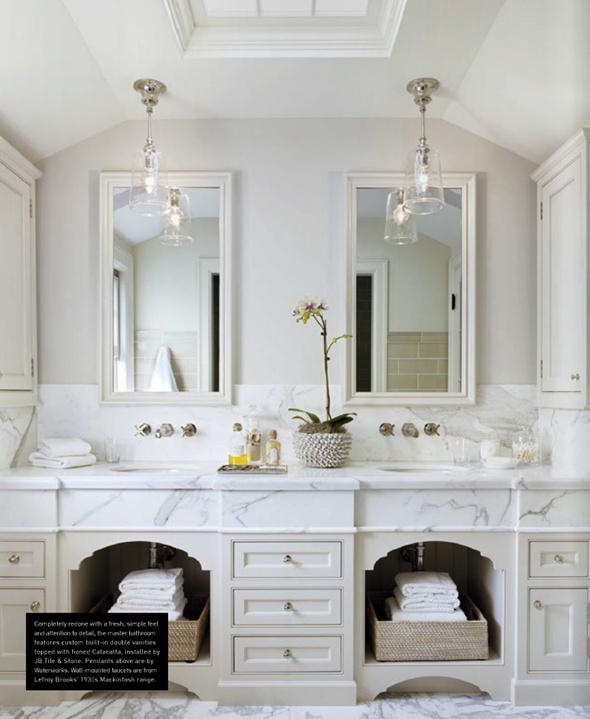 I am so in love with many of my favorite bloggers’ bathrooms like this one from Veranda Magazine that I found in Victoria Elizabeth Barnes’s Pinterest Board. And this pin by Phoenix Wedding Gardens from theaestate. 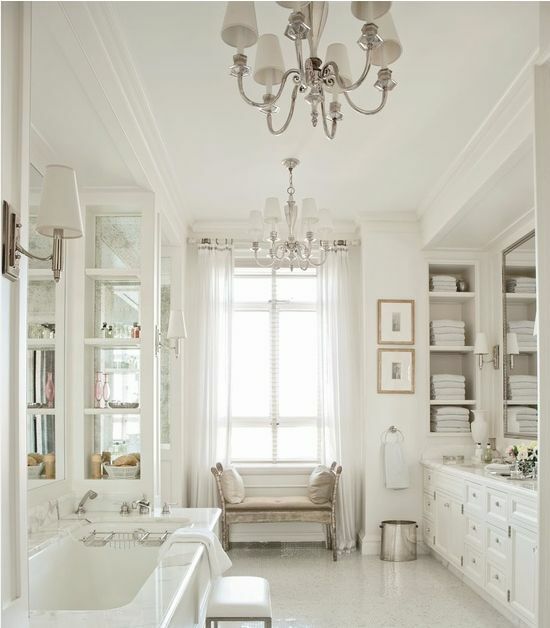 My absolute favorite was found on Krystine Edward’s board four on decorpad.com.